Chicken does well in a crockpot, and it's a good way to cook chicken breasts. They are lean, so they can dry out easily if you're using a dry heat method to cook them. 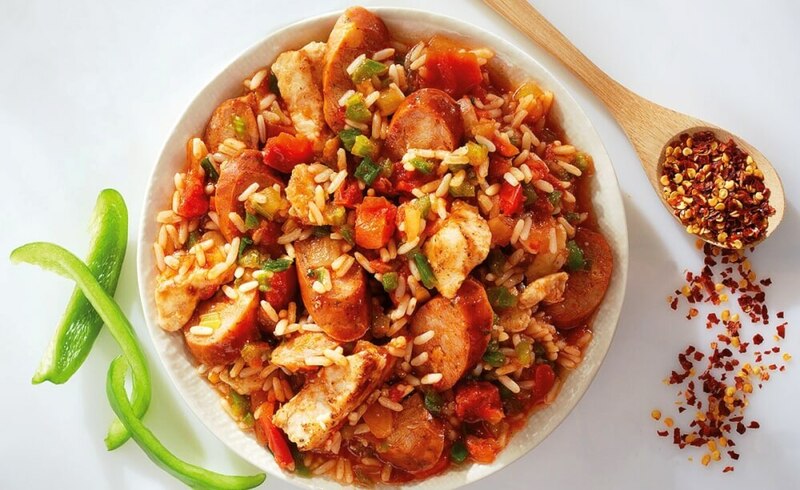 Here though they are slow-cooked in a crockpot so they retain their juicy texture and soak up all those wonderful Creole flavours at the same time. Pop all the ingredients in your slow cooker and let the machine work its magic. If you cook this while you're out at work, you can come home to a tasty dinner which is making the whole kitchen smell amazing. Pair this crockpot Creole chicken with mashed potatoes or boiled rice. You might even like to have it with cornbread. 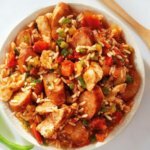 You don't need anything else, since this dish is rich in chicken and veggies, so just decide whether you are in a potato, rice or cornbread mood. If you're into spicy food, add some Tabasco sauce to the mixture along with the green chilli pepper. Otherwise you can serve the hot sauce at the table and let whoever wants to spice theirs up do so. 1. Put the chicken in a crockpot. 2. Season to taste with Cajun seasoning, salt and pepper. 3. Now stir in the celery, green bell pepper, tomatoes, onion, garlic and green chilli pepper. 4. Add the mushrooms too, if using. 5. Cover and cook for 10 hours on low or 5 hours on high, or until the chicken is cooked through.